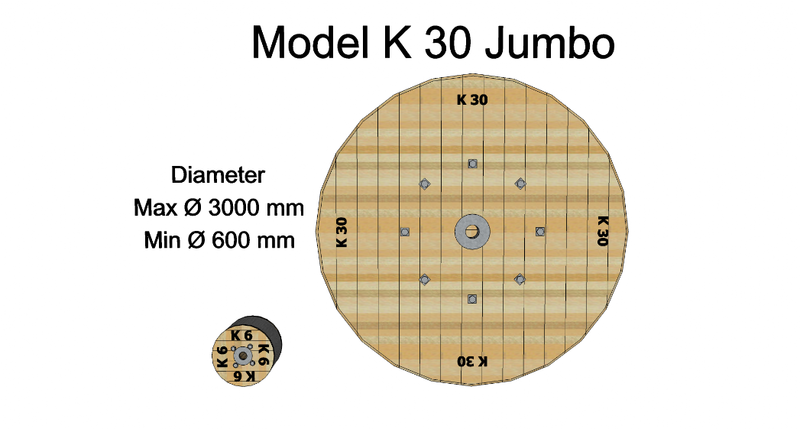 The K 30 Jumbo model shown on this page is suitable for carriers of 20 tons and up. It's jumbo size makes it the special choice for jobs where extra big size drums are used. Also check out the smaller K 18 Mini model and the K 24 Optimal model. For general info on the Multigrab see the General info page and don't miss the intro video for this concept. K 6 to K 30 and everything inbetween. 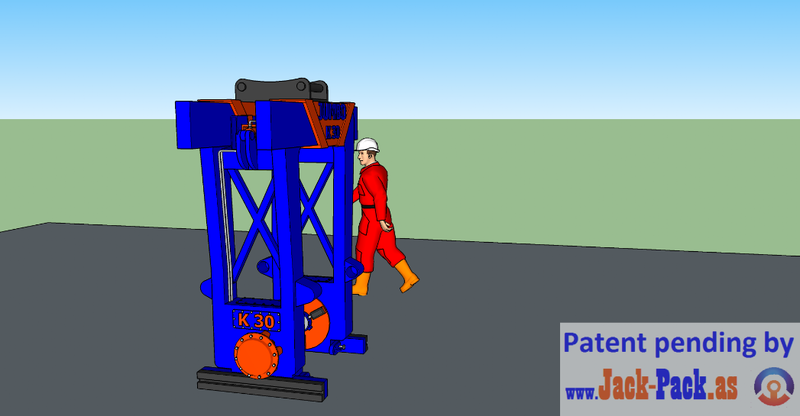 Accessories to the Multigrab K 30 Jumbo model. 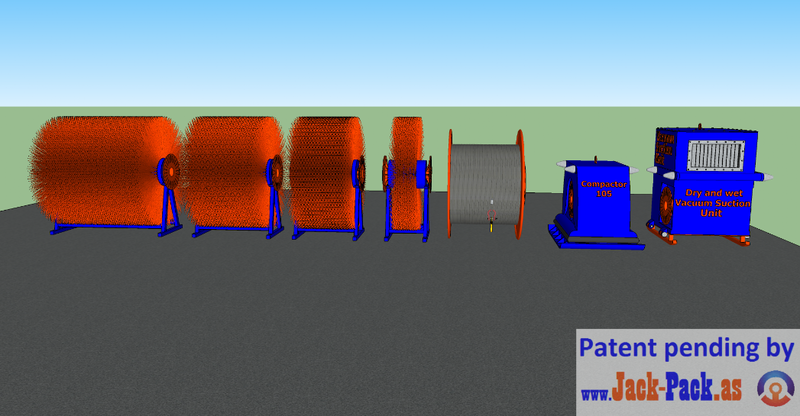 All of these accessories are driven by the hydraulic rotor disc system on the Multigrab itself. That means no hydraulic components are needed on these units, they are all very simple to manufacture compared to similar existing equipment on the market today. 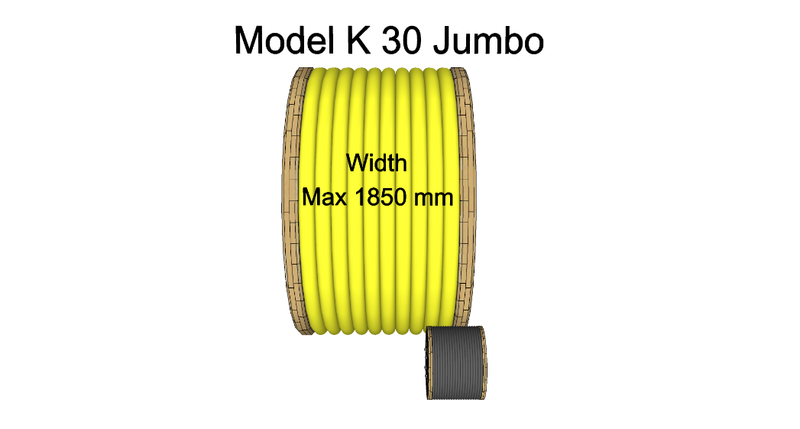 It's all the same accessories listed for the smaller models K 18 Mini and K 24 Optimal + some more. Have thoughts about the Multigrab solution? Please leave your comment in the Multigrab's comment field, click here.